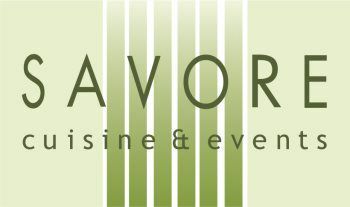 Savore is a LA-based boutique catering and event firm servicing an exclusive clientele with the finest dining experiences imaginable. Chef/Owners Richard Lauter and Erez Levy both formally of Spago Beverly Hills, base their menus on the highest quality seasonal (often local and sustainable) products available. Our Director of Catering, conducts Savore’s beautiful service staff with the precision and grace of a ballet. Their menus and production strategies reflect a passion for cutting-edge culinary theory, event environment design, and impeccable service. Savore specializes in social dining experiences and multi-course tasting menus which often express modern interpretations of global comfort foods. Each of their menus and decor designs are unique to their clients’ preferences, resulting in “one-of-a-kind” dining experiences.